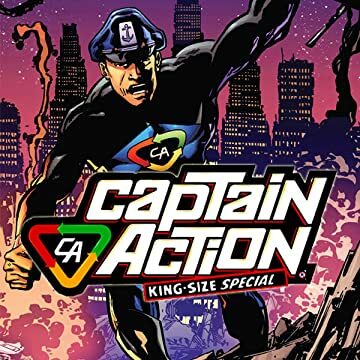 Thrice the action, as Captain Action's 'Season 2" supersizes with two new episodes of the new Captain Action and Action Boy, plus a new Captain Action Classified spy thriller! Though presumed dead, Captain Action's actually in the secret city of Aggartha, getting a history lesson they don't teach in schools in 'Journey thru the Past.' Then it's an international catfight as the USA battles the UK! Lady Action battles Liberty, of the sinister new super-team, Patriot Power! As the intrigue builds to a crescendo, everyone's asking, 'Where is Captain Action?' 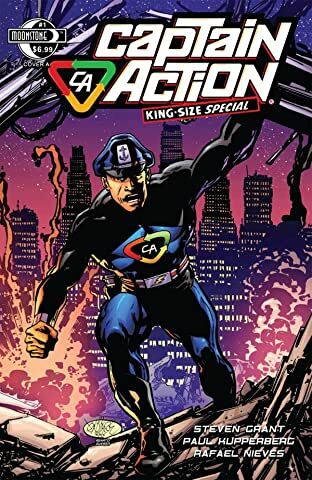 And in this lost tale from the swinging sixties, the original Captain Action is determined to stop the assassination of Robert F. Kennedy!